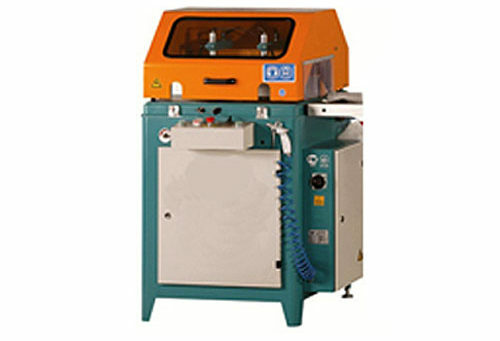 If the protection cover is opened during the cutting process, the saw blade moves down automatically for safety reasons. Fixed angle adjustments at 15°, 22.5°, 30°, 45° and 90°. Intermediate angles are adjusted via mechanical stop.